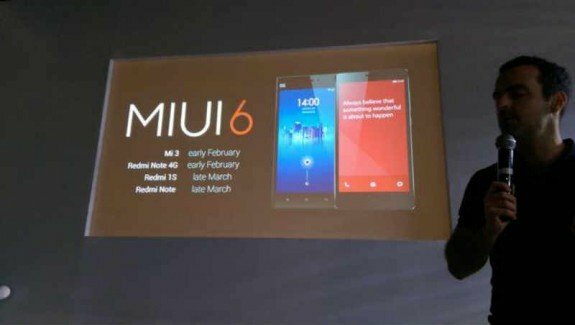 Xiaomi has officially announced that they will be rolling out the MIUI 6 update for their devices soon, as promised earlier. Hugo Barra, Xiaomi’s VP of International Operations, made the announcement at the Mi 4 launch event in India. Update: The update is already rolling out for the Xiaomi Mi3. More details and the first screenshots here. 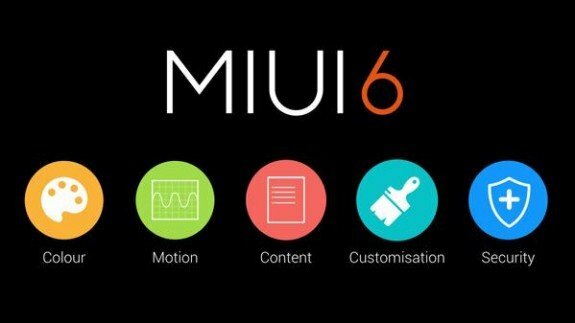 The ETA for the MIUI 6 updates are as follows. The Xiaomi Mi 3 and the Redmi Note 4G will be getting the OTA update in early February. And the Redmi 1S and the Redmi Note will be getting the update in late March. February is just a couple of days away, so that MIUI 6 OTA update should be arriving on your phone quite soon.